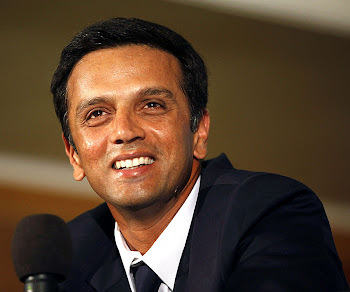 Rahul Dravid: Hats off to you Jumbo! Hats off to you Jumbo! After 4 defeats in a row at the start of the tournament, the captaincy was handed over to the fighter, Anil Kumble.The things suddenly changed and BRC started winning the games.It started with a win against Punjab and Mumbai.BRC made it 3 in a row before they got defeats in hands of RR and MI.But after that, BRC stunned all the big teams by winning 4 in a row.The team entered the top-4 and suddenly the man who lead this achievement was remembered by the media. In the semifinal, superb batting by Rahul and M.Pandey shattered the dreams of CSK.The bottom placed teams in season 1 met in the finals. Kumble won the toss and elected to field.Everyone was amazed when they saw Kumble with a brand new ball.Many of us might have felt that he will hand it over to P.Kumar or J.Kallis and take his position on the field.But,when Gilchrist took the guard and the ball was still in hands of Kumble, everyone knew that the battle in ON.The guy facing Kumble him was not at all ready to show some mercy to the opponents.After playing out 2 dot balls, no wonder Gilly was down the pitch on 3rd one.But Kumble bowled a perfect yorker to shatter the stumps.The crowd went silent, perhaps they knew this is just a start! Kumble took big wickets at crucial stages to restrict DC to a chasable total of 143.The spell of 4-0-16-4 is unforgettable. BRC went on to score 69/3 at the end of strategic time-out.The things were looking pretty good with in form Rahul and dangerous Ross Taylor at the crease.Suddenly, out of nowhere, Rahul played a poor shot and dragged the ball on the stumps.79/4.Still, the things were under control. 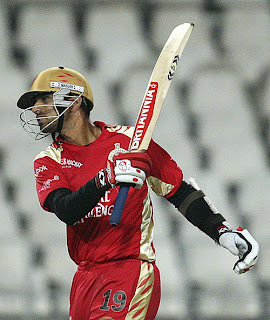 Kohli and Taylor were looking to take the game away from DC before Gilly introduced Symonds into the attack.Both the batsmen fell in the same over on back to back delieveries and the match was almost over.99/6.A lot was expected from Mark Boucher but he couldn't do much, all credit to DC bowler Harmeet Singh.107/7.The game was over with out-of-form Uthappa at the crease(wasting delieveries) with frustrated Kumble at the other end.The dissapointment was all Kumble could get. He was rewarded a man-of-the-match award.It was not just an award, but a slap into the faces of those who kept on criticising this legend for not being fit for this cricket format.